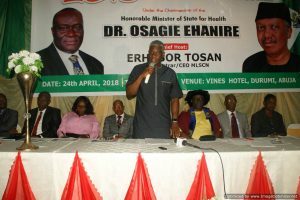 The Hon Minister of Health for State Dr Osagie Ehanire has enjoined the newly inducted medical laboratory scientists to focus on the interest of the patients all the time while performing their duties. 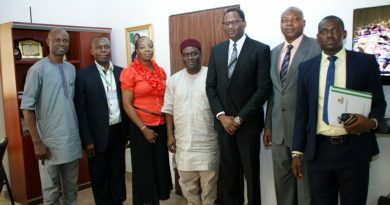 The Minister made the call during the induction of graduates of foreign institutions who had completed the mandatory seven months training programme organised by the Medical Laboratory Science Council of Nigeria (MLSCN). 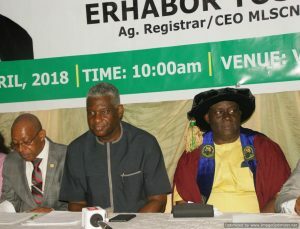 Ehanire who was represented by his Technical Adviser, Dr Shuaibu Belgore, described the Medical Laboratory Science as a noble profession which is exceedingly important in the diagnosis and delivery of medical care in Nigeria, adding that, without this profession, there will be wrong diagnosis almost all the time. 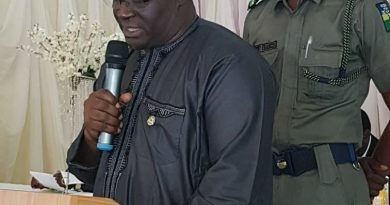 He, therefore, encouraged the inductees to always derive pleasure from any assignment given to them even those that were rejected by their colleagues. Be assiduous, diligent and precise in carrying out your duties, even when others shy away from it, try hard to do the work because every assignment you do is an added experience, he said. 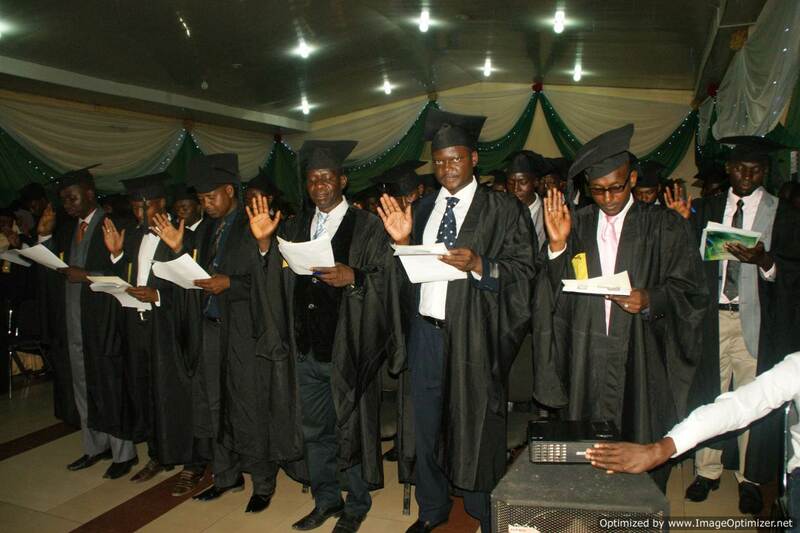 While inducting the graduands, the Acting Registrar, MLSCN, Mr Tosan Erhabor said they were successful after a seven-month pre-qualification training, adding that as graduates of foreign institutions it was necessary for them to undergo the process of adaptation and integration as part of the prerequisite to be licensed. 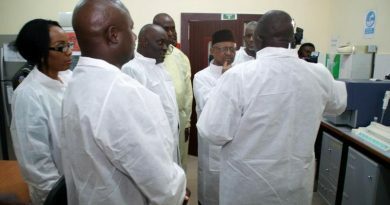 According to him, MLSCN could not allow the inductees into the health sector without first acquainting them with the sort of environment, personnel, equipment, policies, processes and procedures as well as patients that they might encounter during their practice. 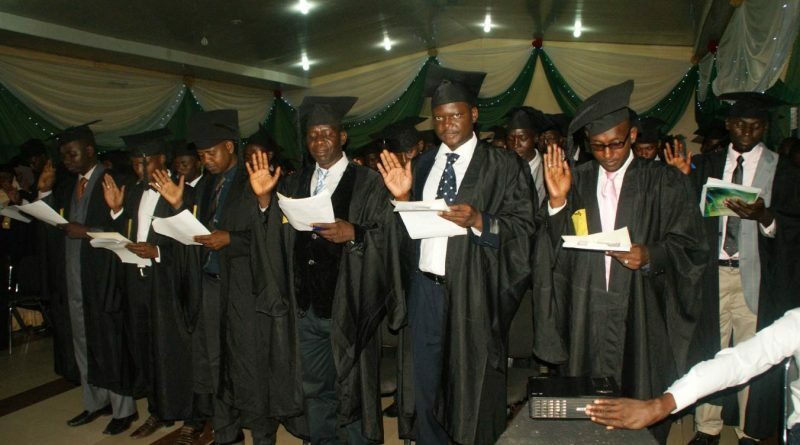 Your orientation should not even end here; instead you should consciously continue to expose yourselves to any platform that is capable of further enriching you professionally, he said, adding that MLSCN remains committed towards the cause and pursuit of excellence in the health sector particularly in training of next generation of medical laboratory practitioners. More than ever before, such people are now confronted with exponential amount of information in the dynamic world of Medical Science and Technology.